Everyone loves Hello Kitty. She is just to cute. She will keep you warm in the coming Fall and Winter months. Show your Nerdy and cute side and proudly wear your Hello Kitty crochet hat. 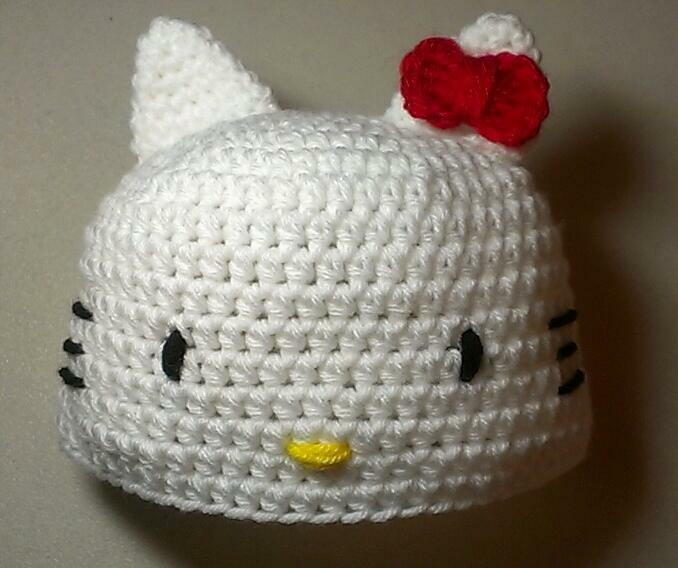 This listing is for an any size Hello Kitty inspired crocheted hat. Please let me know what size you need. You can request a newborn to adult size. Toddler - preschooler (12 months - 3 years) 18" to 20 "
Child (3 - 10 years) 19" - 20 1/2"
Pre-teens and Teens 20 1/2" - 22"
Adult Woman 21.5" - 22.5"
All of my hats are made to order so that I can take into account your size and color choices. Please allow 5-7 business days after you have ordered and payment has been received for the hat to be made then mailed. All my items come from a smoke, cat and dog free home. If you have any questions please do not hesitate to contact me. I love answering questions!